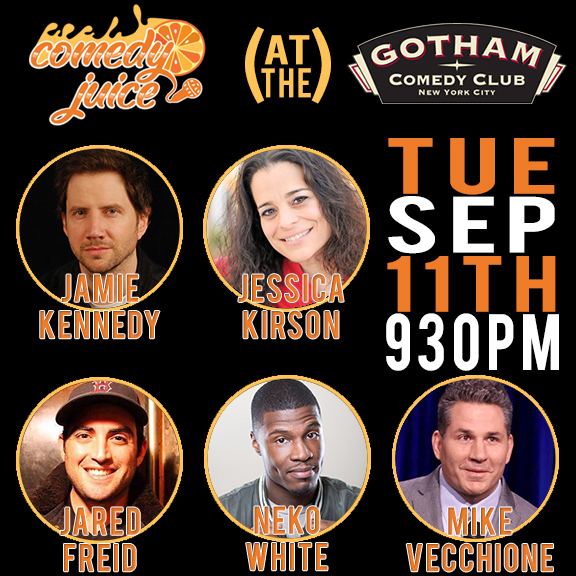 Gotham Comedy Club :: ComedyJuice w/ Jamie Kennedy! PLUS: The Tonight Show's Jessica Kirson, Comedy Central's Sam Morril, Conan’s Mike Vecchione, MTV's Jared Freid, & More! ComedyJuice w/ Jamie Kennedy! PLUS: The Tonight Show's Jessica Kirson, Comedy Central's Sam Morril, Conan’s Mike Vecchione, MTV's Jared Freid, & More!